Another day and another OnePlus 7 leak. 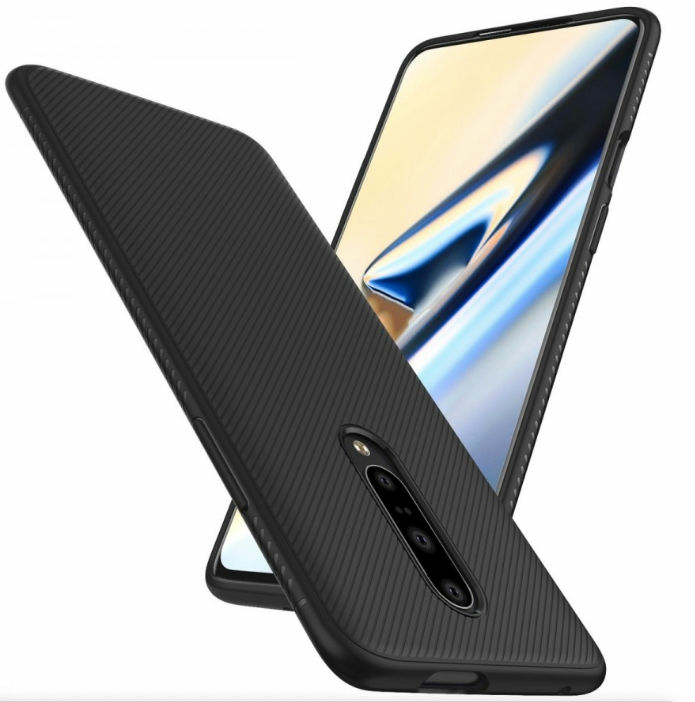 Looks like OnePlus is deliberately asking case manufactures to leak the design of their OnePlus 7 cases so everyone can know what the phone will look like. The phone has been in the news a lot lately and now there’s been another new leak. 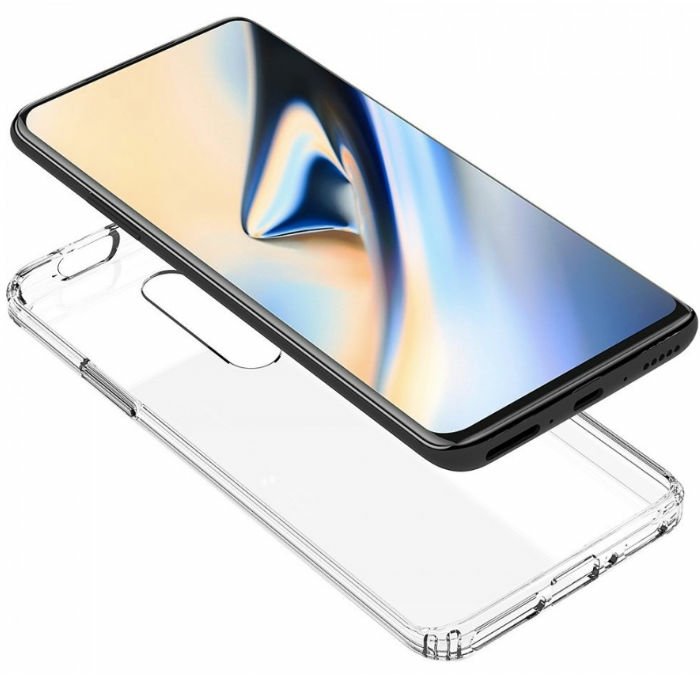 Some new case renders for the OnePlus 7 have been posted online and reiterate a lot about the upcoming phone. The OnePlus 7 is said to feature a bezel-less display without a notch, a pop-up selfie camera, and a triple rear camera setup. That’s pretty much all the information we have right now. However, new leaks and renders have been confirming these features, and the latest leak does the same. The case renders, posted by tipster Sudhanshu Ambhore, show the cutout for the triple rear cameras and the pop-up selfie camera. As you can see in the render above, the OnePlus 7 has been revealed from all sides. Of course, these renders are made by the case maker, but they are based on actual specifications and features. Last month, CAD renders of the phone had been posted online, which pretty much revealed the design of the phone. The latest renders also show the phone with a nearly bezel-less display. There is a small chin at the bottom, but that’s common in almost all phones these days. The phone also doesn’t have a 3.5mm headphone jack and no fingerprint scanner at the back. Thus, the OnePlus 7 will continue what the OnePlus 6T started and use an in-display fingerprint scanner, but most likely a newer and better one. Apart from that, you can also see that the Power button is on the left and the volume buttons are on the right. The SIM card slot has been moved to the bottom of the device, alongside the speaker, USB Type-C port, and microphone. The OnePlus 7 will most likely be powered by the latest Snapdragon 855 processor and should be launched in May this year. You can also expect more colour options for the new phone.